1. Turn off your Sony Vaio VPC-EB laptop. Disconnect the power adapter and other external device. 3. 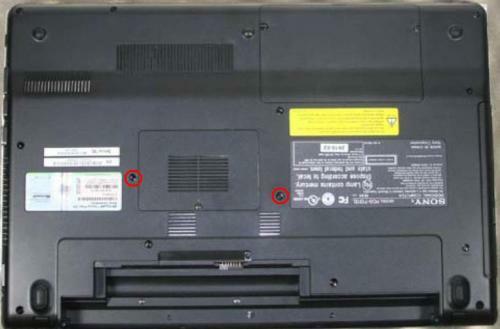 Remove the two screws as shown in the first photo. These will be the only screws you need to remove. 4. 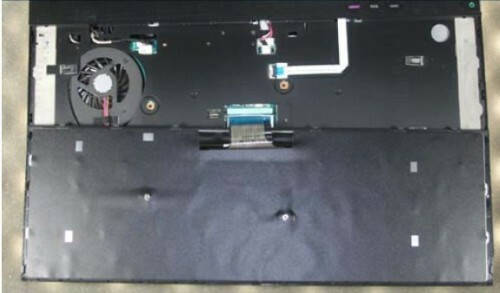 Now turn the Sony Vaio VPC-EB laptop over and pull upward on the keyboard frame starting from above the function keys. Only plastic clips hold the keyboard frame into place. The keyboard and its frame are one piece. 5. Rest the keyboard onto its face to get access to the keyboard cable connector. 6. The final step is unlocking the keyboard cable from the motherboard. 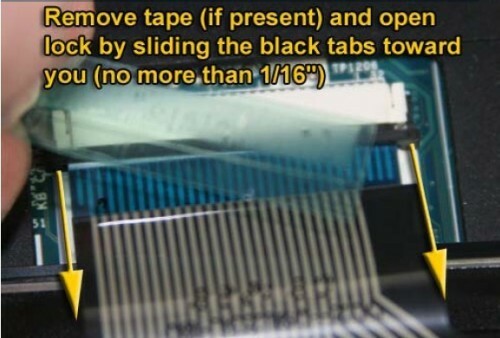 To do this move the dark brown clip approx 1/32" to 1/16" towards you. The cable will then slide out of the connector.. 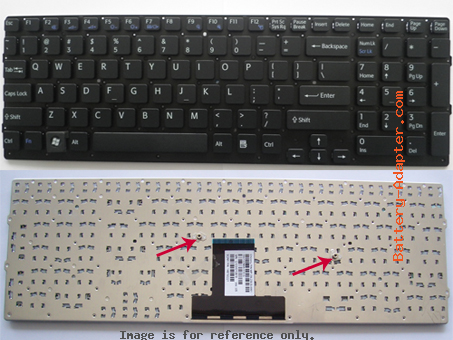 Reverse procedure to install your new Sony Vaio VPC-EB keyboard. More compartible and detailed information, please refer to our website battery-adapter.com.